Forming from the ashes of Small Brown Bike, LaSalle takes the rugged rock of the former and adds a bit more melodic sensibility. LaSalle features the husband/wife team of Mike & Katy Reed plus drummer and long-time collaborator, Dan Jaquint. Their sophomore record, Pretty World, shows a band that has grown tighter, louder, and more urgent in the three years since the release of their debut album Expeditions Songs (Thick Records). With the welcome addition of keyboards, horns, and electronics, LaSalle adds layers to their sound without going overboard. Pretty World blends male/female harmonies with sharp guitar riffs, glassy bass lines, and intricate drumming to make a record that refuses to stay in one place. * In 2004, LaSalle formed after the break up of Small Brown Bike (Mike and Dan’s former band). * In 2005, LaSalle recorded their debut record, Expedition Songs, at Tempermill Studios with David Feeny. It was released in October 2005 on Thick Records. * In 2006, LaSalle toured with Cursive and Make Believe and also played shows with The Casket Lottery, Criteria, The Great Sea Serpents, The Hard Lessons, and Oh My God. * In 2007, LaSalle recorded their second record, Pretty World, at Broadside Studios with Mark Larmee and at Tempermill Studios with Dave Feeny. 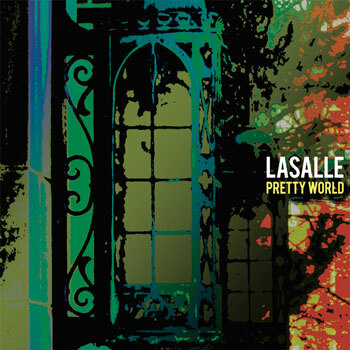 * In 2008, LaSalle released Pretty World on Gangplank Records.